C.S Amudhan is a Tamil filmmake whose body of work comprises of the successful Tamil Padam franchise. The director is known for his sarcastic posts and tweets in social media. He has recently taken a funny dig at a popular sportsperson. The director retweeted a tweet posted by Prime Minister Narendra Modi from his official Twitter account thanking Indian cricketer Ravindra Jadeja for supporting his party, whilst congratulating him for getting selected in the 2019 World Cup squad. 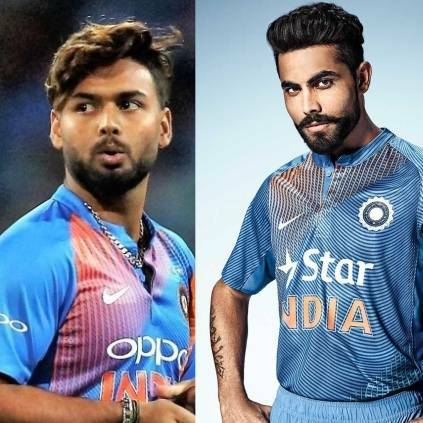 C.S Amudhan posted a funny comment along with the retweeted post, tagging cricketer Rishabh Pant, as the sportsman didn't get selected for the team. He tweeted "Had I known this, even I would have...", and tagged Rishabh Pant. C.S Amudhan's last film Tamil Padam-2 garnered positive response from audiences and critics alike. The film offered a satirical perspective on cinema, politics and current affairs. People looking for online information on CS Amudhan, Rishabh Pant will find this news story useful.